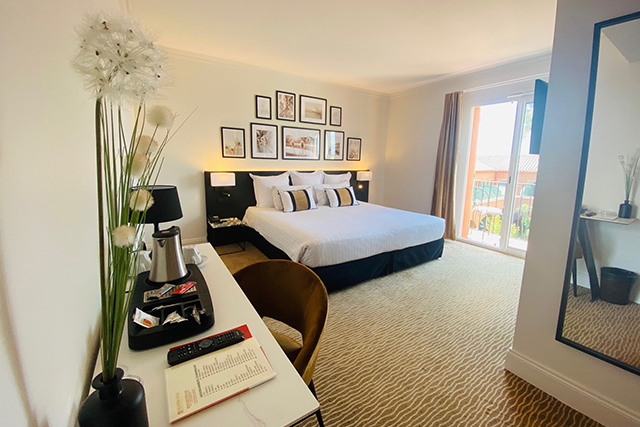 Our 20 m² Classic rooms overlook the gardens and pool, with or without balcony. 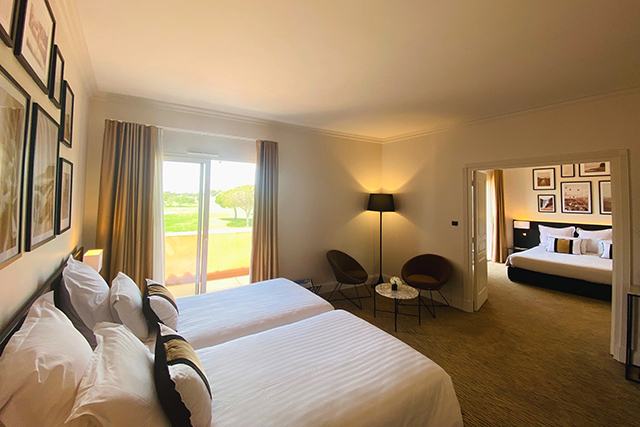 Our 25 m² Comfort rooms on the ground floor, opening onto the gardens, accommodate 1 to 2 people. What distinguishes them from the Classic rooms is their spacious private terrace with direct access to the gardens and pool. 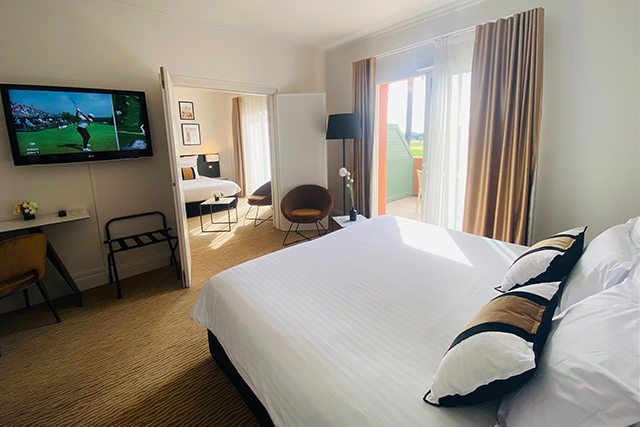 Our bright and spacious 25 m² Comfort rooms on the first floor, overlooking the golf course, are perfect little nests of cosy comfort for 1 to 2 people. 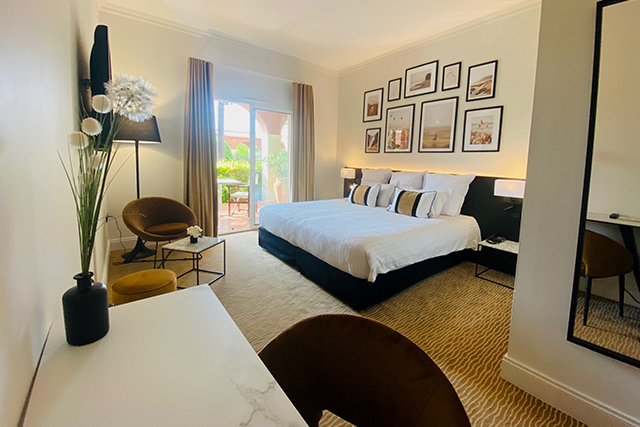 These 40 m² spacious rooms with balcony or private corner terrace, overlooking the gardens and swimming pool, are the height of comfort for 1 or 2 people. 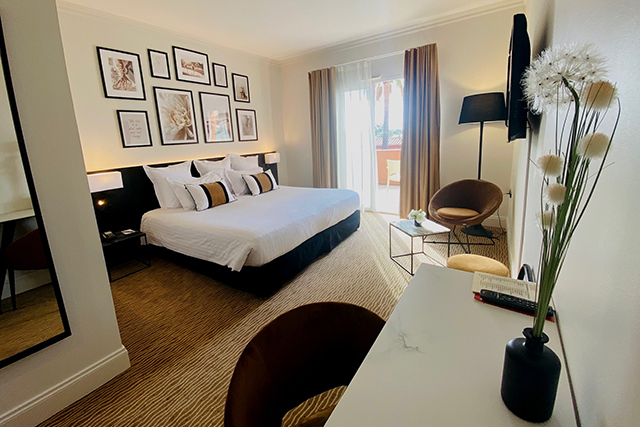 Our Connecting rooms (2 x 25 m²), comprised of two "comfort" rooms, can accommodate up to 4 people. 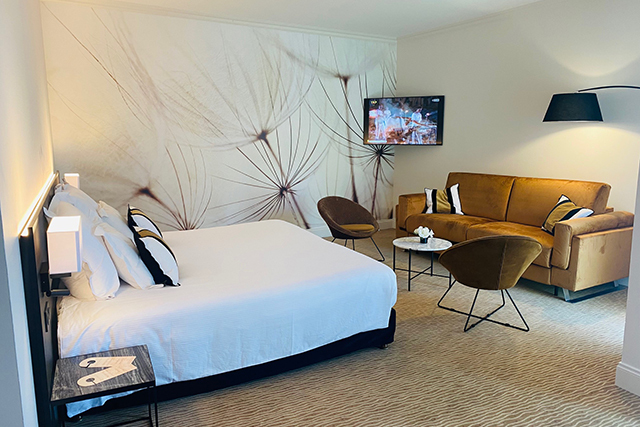 Our two 60 m² Suites are genuine cocoons of comfort, offering you the perfect place to rest.